Great spot to enjoy the view and the beach. The cache is hidden on a beautiful cape shaped beach with the view of the mountains. 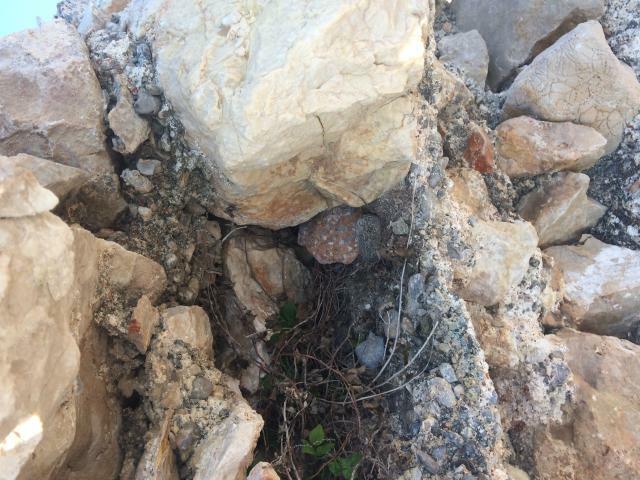 On the beach there is a ruin of an old fortress, the cache is in a hole in a ruinous wall by the sea. The place is not directly on the main road, and it's a great spot to rest, enjoy the view, go for a swim, learn some new things about the area. 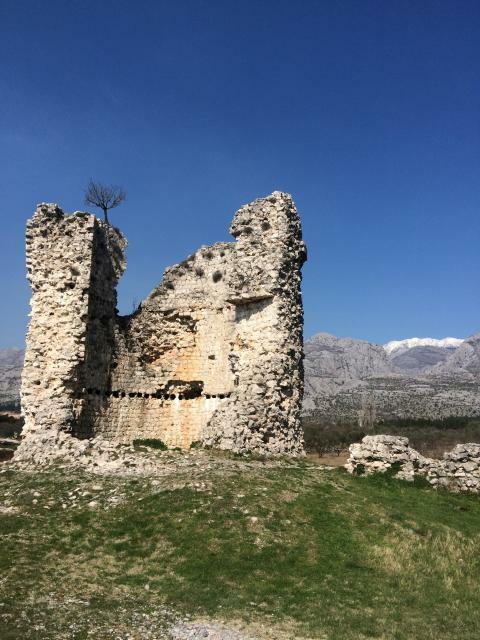 Located at the edge of Večko polje(field), Večka kula(tower) was built by Venetians in 16th century as a part a fortification system that protected Podvelebitski Channel from the Turks. 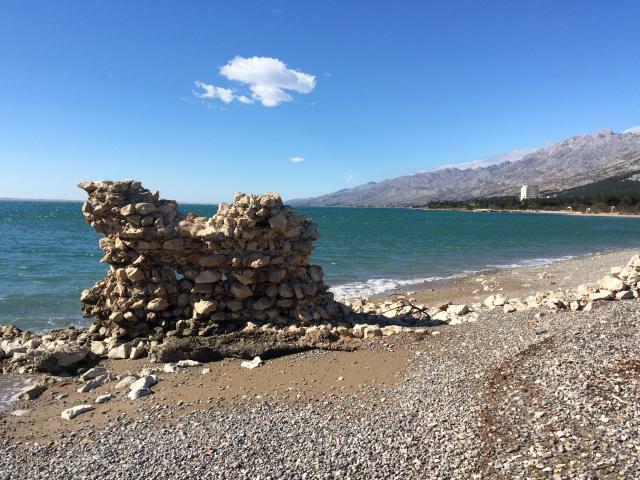 Presumably the tower was attached to the village of Veče (Veche), which was located in the area of modern Seline and was first mentioned by written sources in year 1508. Večka tower strategically placed at a location from which it was possible to watch the ships passing through Channel. From here, an important communication route crossed the channel to Vinjerac and continued into the Zadar’s hinterland. Another route led through the Velika Paklenica gorge and across Velebit into the Lika highlands. In the second half of the 17th century, Večki porat is mentioned as the main port for export of lumber cut in Paklenica. The village of Veče probably had disappeared by that time due to Turkish incursions. Many legends have been told about Večka Tower. The best-known among them is the legend of King Pasoglav (Doghead).